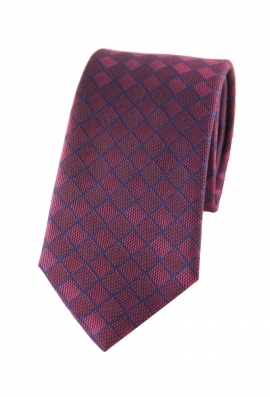 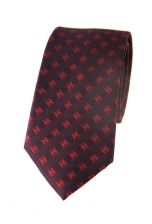 Our Joshua burgundy checked tie is a tie with a difference. Simple yet distinctive, its elegant burgundy shade serves as a background to the subtle checked outline that reveals some intricate woven detailing. 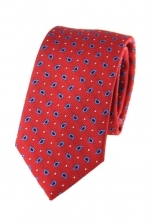 Wear it with a navy suit for a true gentleman look.